The process for a new €12 million-cleaning contract for St Vincent De Paul Residence in Luqa continues. The Contracts Department is being accused of “illegally” removing a crucial clause in a multi-million euro cleaning tender offer that would have excluded companies with tax arrears. The move raised concerns within the industry, fearing it was done to favour a particular company that owes the Exchequer millions in unpaid taxes. 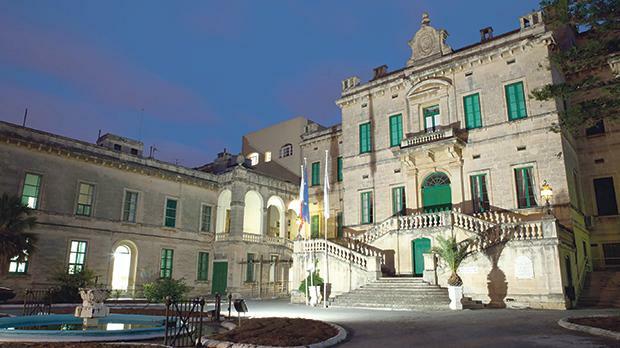 Servizi Malta Ltd, an established cleaning company, has formally asked the Public Contracts Review Board to stop the tendering process and order the Department of Contracts to reverse its “illegal” intervention in violation of public procurement rules. Through its lawyers, Ganado Advocates, the firm said that, according to established EU criteria applicable to public tenders, companies or individuals interested in submitting an offer had also to present compliance certificates issued by the inland revenue, VAT and social security departments as proof they settled all their taxes and had no arrears. In what is being deemed as an unprecedented intervention, the Contracts Department issued a ‘clarification’ stating that the clearance certificates from the government departments were not compulsory any longer upon submission of bids, as used to be the norm, but were only required before the successful bidder signed the contract. The clarification was issued as the process for a new €12 million-cleaning contract for St Vincent De Paul Residence, in Luqa continues. In a strongly worded protest to the review board, Servizi Malta said: “It is extremely worrying that the Department of Contracts appears to be willing to make concessions on the submission of one certificate that confirms that the relevant economic operator has paid all VAT and social security contributions, respectively. In view of the financial commitments indicated [in the tender], the requirement for the production of these certificates upon submission of bids is not only proportionate but a must. The Department of Contracts denies it acted illegally, justifying its intervention. “The clarification has been rightfully issued in that it corrected both an error and an inconsistency in the [tender] document,” director general Anthony Cachia argued. Times of Malta reported last month that the sole director of X-Clean Ltd, Denis Xuereb, owed the Inland Revenue Department more than €4 million in arrears. The company currently provides cleaning services at the Luqa home for the elderly. X-Clean had been awarded the contract by direct order and the Department of Contracts approved its renewal every few months since 2015, against public procurement rules. Over the whole period, the contractor received more than €9 million in payments from the government. A new invitation for tenders was issued last December, the Department of Contracts saying it took so long to make a fresh call because the document was very complicated to draft. The Malta Employers’ Association expressed shock and disapproval at the shifting of goalposts. This move, it said, discriminated against the concept of fair competition and raised strong suspicion that it was intended to favour particular bidders who would have failed to be compliant with the terms of the tender. "Compliance certificates should be a must to ensure that tax payers’ money is being paid out to operators who have no tax arrears. "This intervention by the contracts department does not inspire confidence in the business community that tenders are being adjudicated fairly," it said. The association called for an immediate retraction of the Contracts Department’s revision and for the reinstatement of the clause that excludes companies with tax arrears from bidding for public contracts. It added that such actions were eroding business confidence to the detriment of law abiding companies and their employees. The government said in a statement on Friday evening that at no point in time was any “crucial tax clause” removed. It said that requesting compliance certificates "was and still is" an integral part of the procurement process, and that the Department of Contracts intervention was there to ensure the least bureaucratic practices for bidders. "The practice adopted by the Department of Contracts ensures that no government contract is signed with bidders who do not comply, among others, with their tax and social security contributions. "Hence, contrary to what the title implies, the policy of requesting compliance certificates upon the submission of bids has not been removed since the practice has always been to require them only from the winning bidder."